'Sweet Dreams' is actually one of the weaker tracks when you get down to it. Of course it's indelible, but it's a little too expansive, perhaps. Compare it to 'Love Is A Stranger', which is just the greatest song ever. It's the first pop album that I ever got into, and I check my mix to this record. "Is the sound as good as 'Love Is A Stranger'? Not quite but almost, so we'll print it." 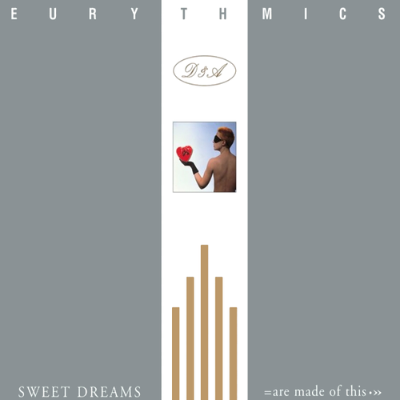 I don't know if I could do a cover of Eurythmics, like I did with OMD. I think it's hard because I can keep up with Andy McCluskey but I don't know if I could keep up with Annie Lennox. Such an important part of how those songs work is how well she sings.